I am so excited to share this blog from Sarah and Madisons gorgeous Bridle Oaks Wedding! Get ready, because it’s a HUGE blog, jam packed of so much love and gorgeousness! These two had a perfect day from start to finish. It always makes so happy when there is so much chemistry and happiness between the couple that you’re able to not only see it in their photos, but you can also feel it. 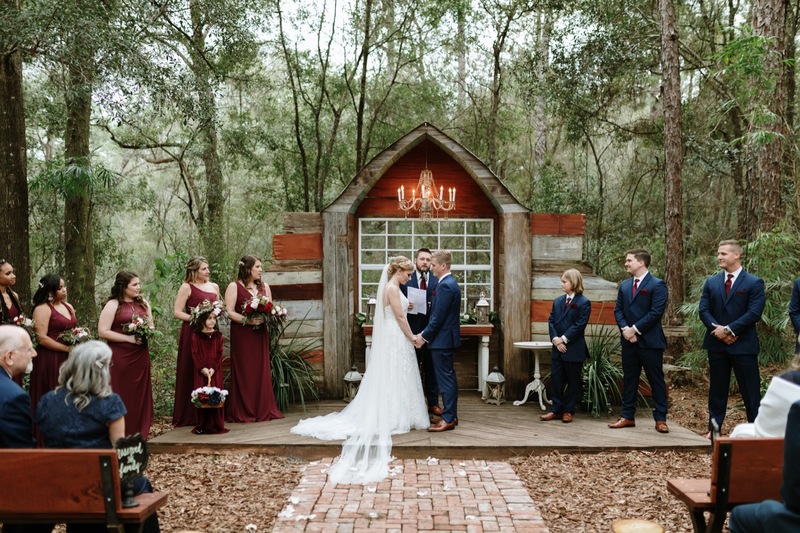 Sarah and Madisons color palette, which was burgundy and navy with rose gold accents, complemented the venue so well and was absolutely perfect- just like the weather (which was a little chilly and overcast), but it made for the most beautiful snuggly photos. After 2 sweet and emotional first looks with both her dad and Madison, they had a short ceremony, followed by some fun photos. Their reception included an espresso bar (yasss!) and Donnie’s Donuts, as well as a traditional wedding cake! Their guest book, chargers, and favors were old records, sprayed with gold on one side and featured a picture of their pup Luna. After some dinner, dancing, and coffee to warm up, we braved the cold to make some awesome photos around the fire pit and other parts of the venue. Their last dance was a quiet moment for the two of them and lead up to their grand sparkler exit! Take a peek at their wedding day below, and leave them some love in the comments section! !